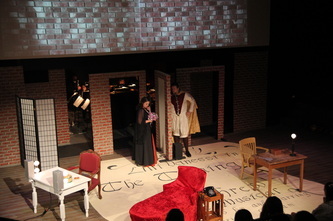 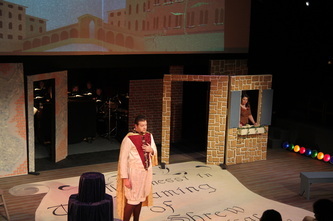 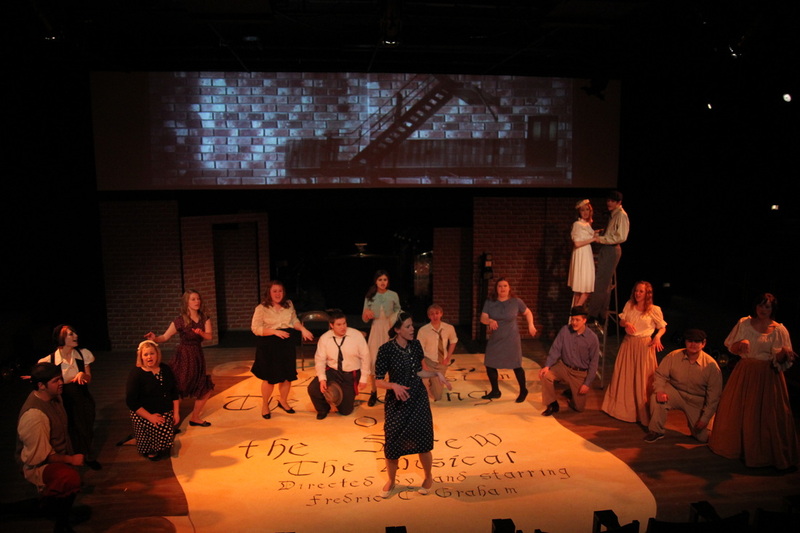 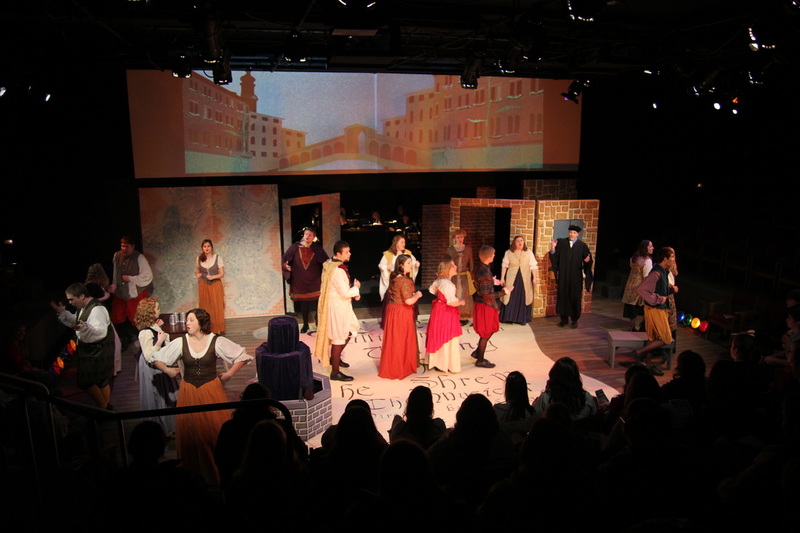 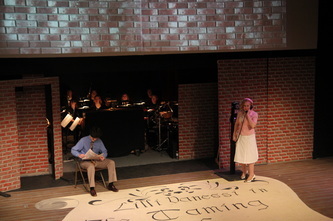 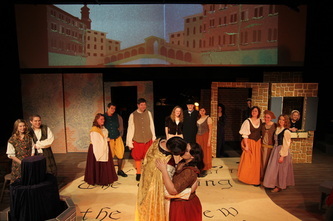 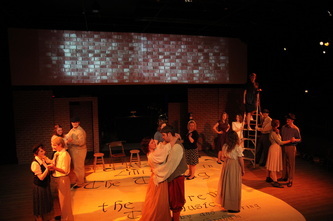 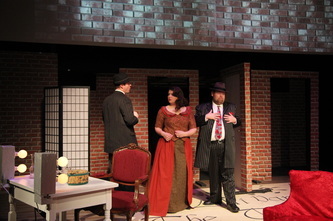 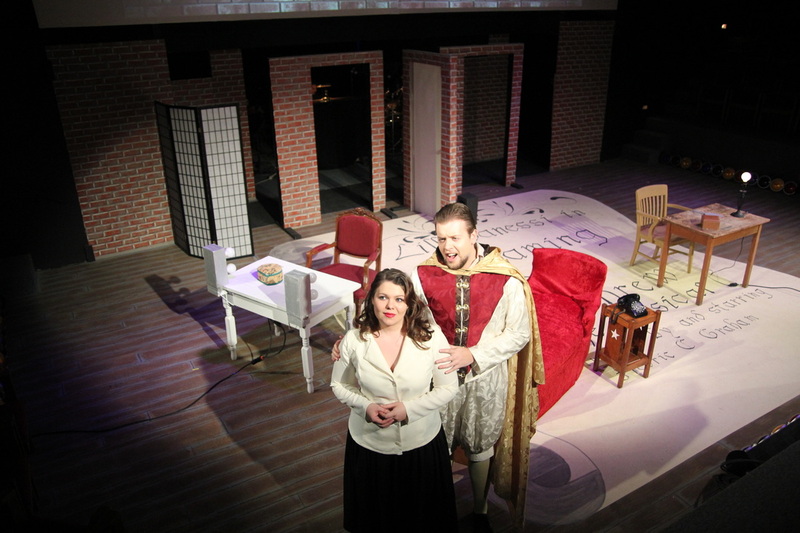 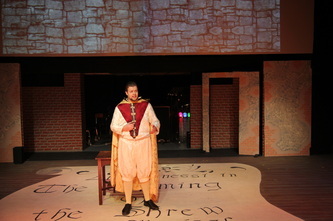 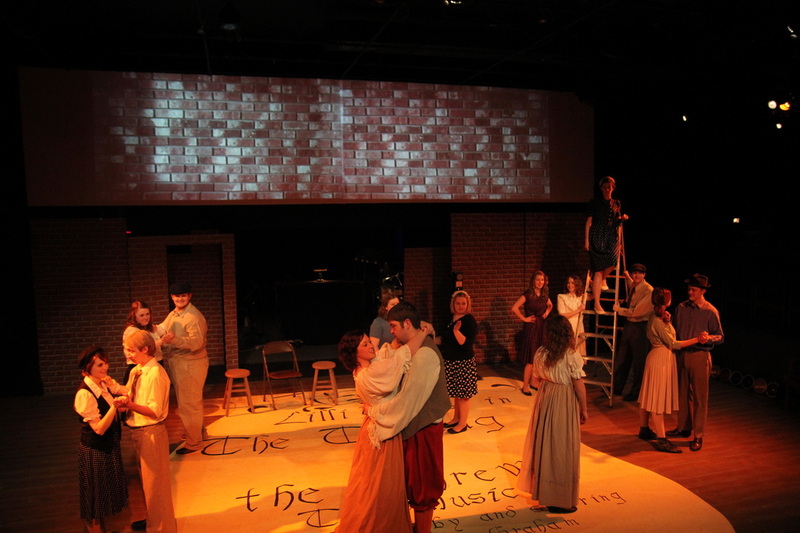 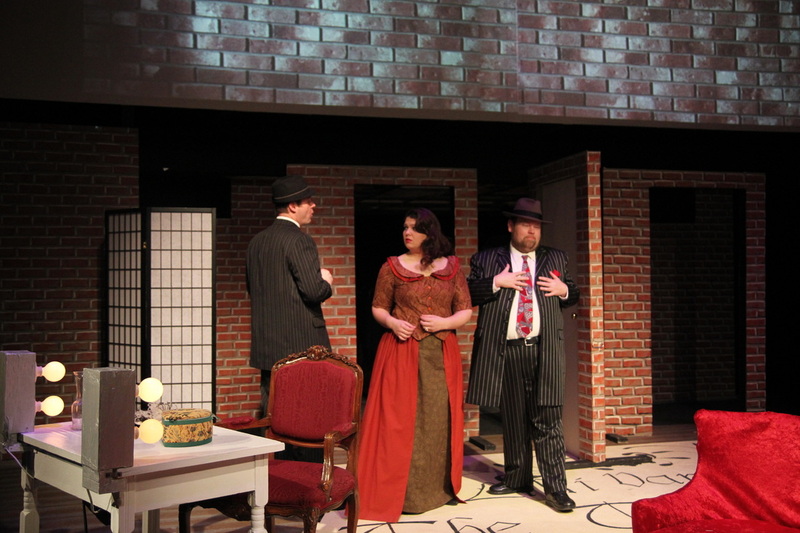 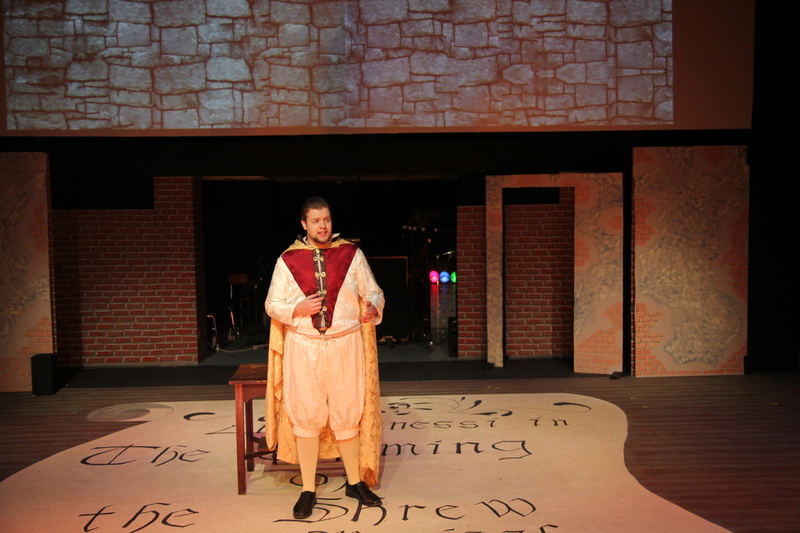 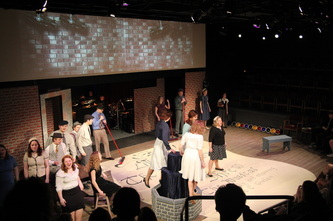 Waldorf College's Theatre was a small space with little storage or wing space for scenic pieces. Basic flats were used and painted on both sides to be flipped around for various scenes. Projections were designed to help distinguish between locations and were designed by a student. 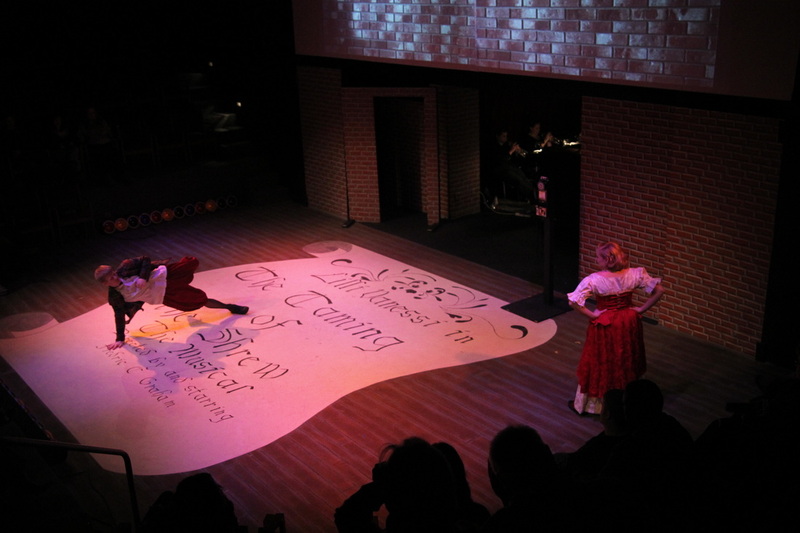 The floor was painted with a large scroll that acts as the "show curtain."